If the triodes are not overdriven, the inputs are completely independent. Changes in control settings for one channel, for example, do not affect the signal characteristics of the other. 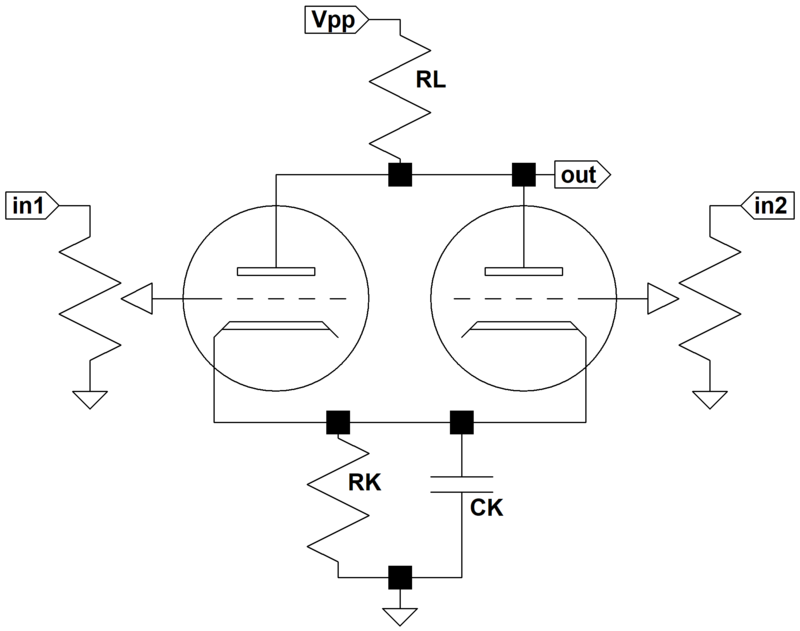 Unlike a passive mixer, the circuit also provides substantial gain.